The summer is going too quickly. I was just hanging around, reading Tri Cosmo when BAM, two weeks went by. The blog has been neglected. So I owe you two race reports, an big announcement, and an update on my personal life and emotional well-being. Since that last one would break the Internet, I’m going to skip it. His Royal Highness, King Buzzy of Manland, welcomed us to his castle on the bay in Stone Harbor, New Jersey on a beautiful Saturday morning. Team members in attendance: TMT, the Rev, The Race Director, Mrs. Donovan, and the Snarkster. The Mini Race Director woke up that morning and said “Meh” and went back to sleep. Ahhh, to be young and have the ability to stay up past 10:00pm on a Friday night. Team order of finish: Mrs. D, Snarky, RD, and the Rev. If I remember correctly, I finished. Marky B won the whole thing again. 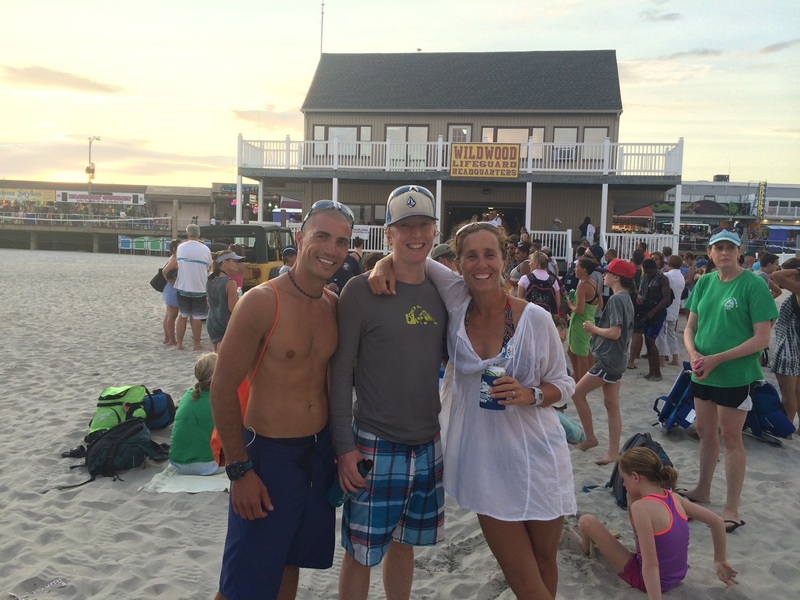 The previous weekend he won the Stone Harbor Tri, and during the week in between he got a new job. Marky B picks all my lottery numbers from now on. Transition on the driveway. Or more appropriately, the Royal Carriage Way. Mr. Donovan represented Ireland in our Manland World Championships. 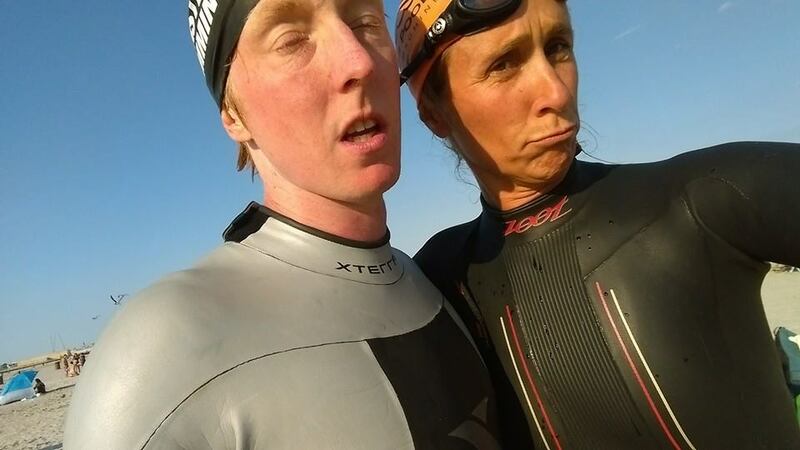 Luckily for Ireland, so did Snarky G.
This is the true spirit of this race. I love it. 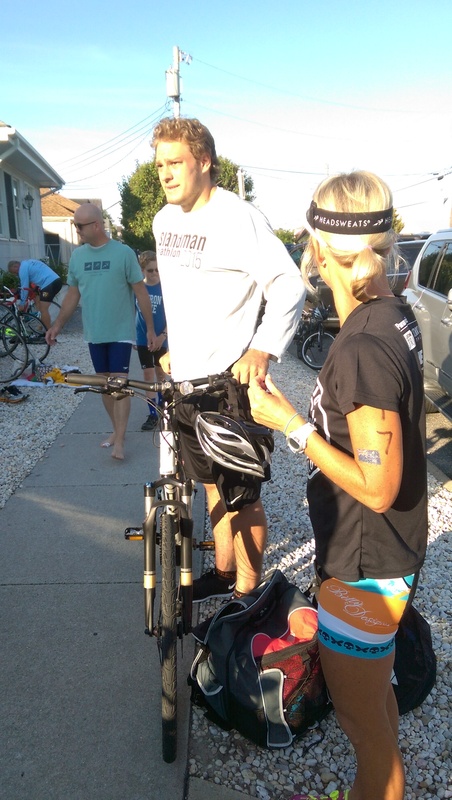 The race Director’s son G Devil was a last minute sub for his sister, riding a bike the size of a horse. Hence, Canadian Pharaoh. Me and Coach Jason. Let’s just say I never hired him for his looks. 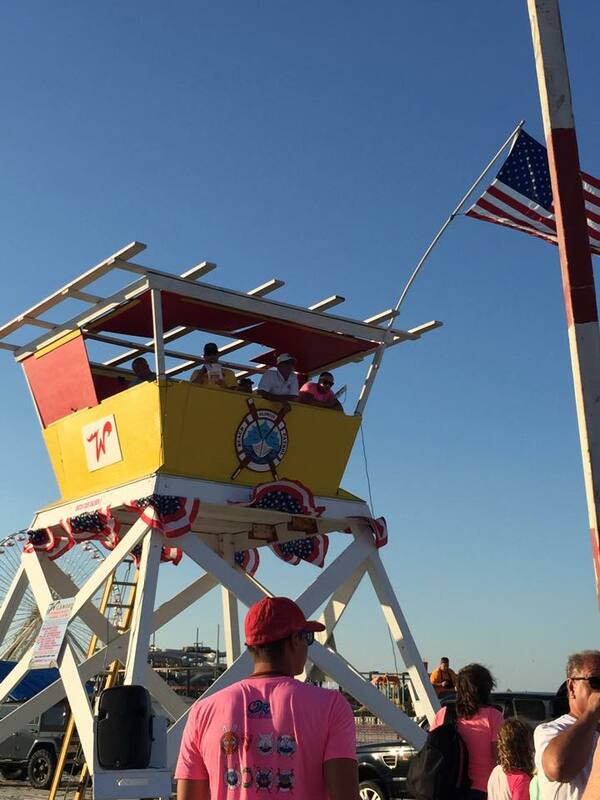 That is one monstrous lifeguard stand. Perfect for siting. The man, the myth, the legend-Billy Auty. God was happy with my performance. Post-race with Coach and Timmy P. And a beer. Since the teenager was my driver for the evening, she insisted I include this. 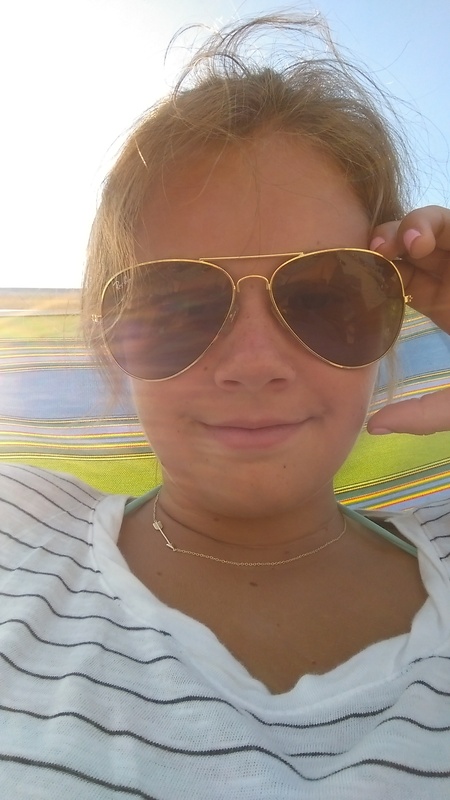 I only wish her sunglasses were bigger. You can’t tell her because she doesn’t know yet, but Bikey goes into retirement after this season. We’ve been racing together for six seasons. It’s time for her to rest and enjoy old age. While her frame is a 2009, most of her components are 1999 Dura Ace. So this year’s Tour de Shore is really a farewell tour for the old gal. So if you see her at Atlantic City, Tri the Wildwoods, or Bassman, give her an “Attagirl”. She deserves it. Just don’t tell her why because she can get really bitchy and then I’ll be stuck on the A.C. Expressway with two flats and a broken derailleur.